Hard-throwing southpaw hurler Sean Manaea (Indiana St.), selected Top Pitcher and Outstanding Pro Prospect in the Cape Cod Baseball League, was also the top player named in the Baseball America Top 30 prospects. 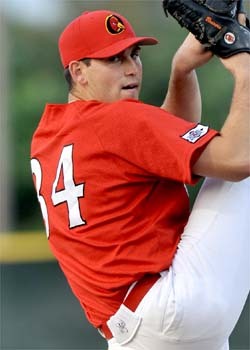 Most Valuable Player Phil Ervin (Samford), Top Pitcher and Outstanding Pro Prospect Sean Manaea (Indiana St.) and Batting Champion Patrick Biondi (Michigan) top the list of players selected to the Cape Cod Baseball League Post-Season All-League Team. Congratulations to the Wareham Gatemen who captured the coveted Arnold Mycock Trophy signifying champions of the 2012 CCBL playoffs in what was clearly the most exciting playoff finals, perhaps ever! West champion Wareham wears the Cape League crown today after one of the most dramatic comebacks in the history of the league's championship finals. 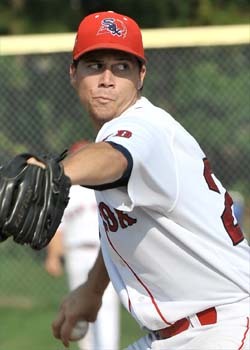 Thanks to a sterling pitching performance by Yarmouth-Dennis starter Aaron Blair (Marshall University), the 2012 Cape Cod Baseball League season all comes down to one game. Late-game heroics by catcher Tyler Ross and flame-throwing Colby Suggs enabled Wareham to take first blood in the Cape League's Championship Series Wednesday. 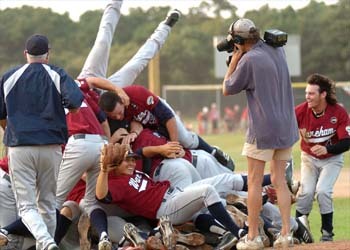 The Cape League Championship Series has been set with YD and Wareham victories last evening. In a wild contest that saw the two Western Division finalists tied after eight innings, Wareham pulled out a thrilling 8-6 win on the strength of Mott Hyde's two-run homer in the top of the ninth. Yarmouth-Dennis made quick work of its Eastern Division Championship series with Orleans, completing a two-game sweep with its second straight runaway victory. A U-Haul trailer would have come in handy on opening day of the playoffs as Cape League officials transported four trophies to Elizabeth Lowell Park for a presentation to the Cotuit Kettleers. Wareham Gatemen slugger Tyler Horan earned the Top New England Prospect Award. While both ball clubs’ starting pitchers threw six solid innings for their respective teams, the Gateman controlled the scoreboard. Alex Gonzalez hurled a two-hitter over 6.2 innings and his Yarmouth-Dennis teammates exploded for an eight-run fifth inning to beat the visiting Orleans Firebirds, 10-3. L.J. Mazilli (UConn) helped motor Bourne past top seeded Cotuit Kettleers with a three-run home-run in the 8th. After winning an exciting 4-2 contest at Bourne, the Western Division Champion Cotuit Kettleers host the Braves in the rubber game of the best two-out-of-three Cape Cod Baseball League’s first round of the playoffs. 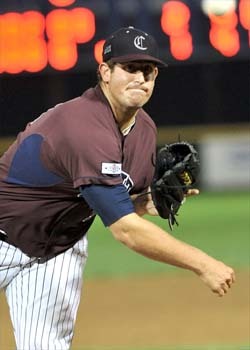 After a dominant season with 10 saves, Cotuit's Dan Slania has been selected as the League's the top relief pitcher. The Harwich Mariners proudly accepted the Cape Cod Baseball League East Division championship trophy during pre-game ceremonies at Whitehouse field. Orleans catcher Jake Hernandez selected 10th Player Award. 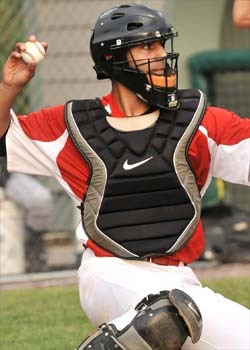 The Cape League’s 10th Player Award has been presented to Jake Hernandez (USC) starting catcher for the Orleans Firebirds. 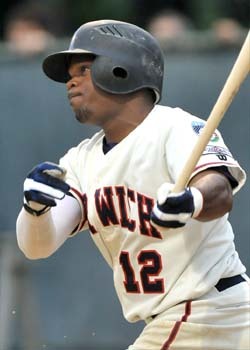 Cape League Most Valuable Player Award to talented Harwich’s Phil Ervin. 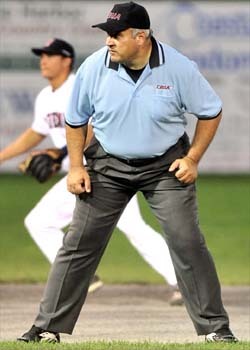 After working as an official for over three decades, Joe Caraco has been selected as the 2012 Curly Clement Award winner as top umpire in the Cape Cod Baseball League. 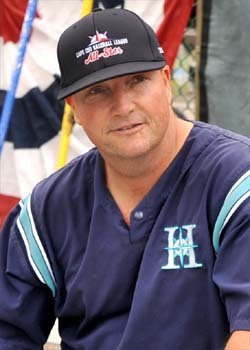 Steve Englert, popular field manager of the East Division Champion Harwich Mariners, has been named 2012 Mike Curran Award winner as Manager of the Year in the Cape Cod Baseball League. 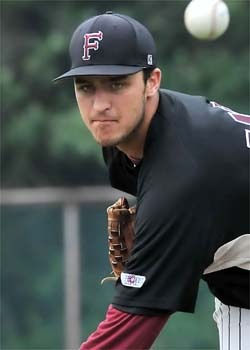 Patrick Biondi (Michigan) of Cotuit recognized as Thurman Munson League Batting Champion with .388 Batting Average. Yarmouth-Dennis shortstop Zak Blair (Mercyhurst) is the 2012 recipient of the Daniel J. Silva Award for Sportsmanship. 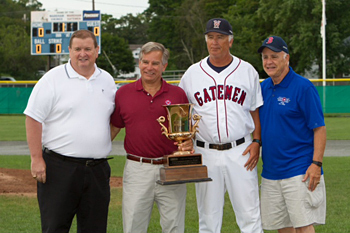 For an unprecedented fourth time during the past nine years, the Wareham Gateman franchise has been named recipient of the coveted Cape Cod Baseball League Commissioner’s Cup. 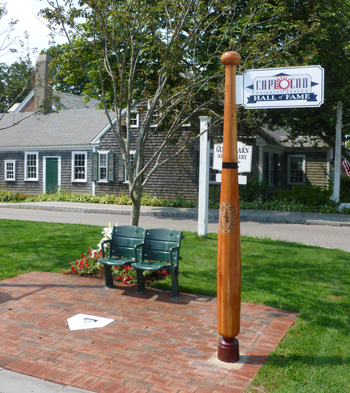 On Saturday evening, August 4, the Cape Cod Baseball League made history and this time it was not, but off the field. 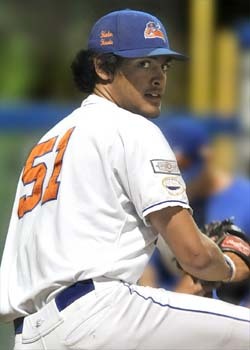 Flame-throwing southpaw Sean Manaea (Indiana State) of Hyannis accomplished a rare clean sweep by winning both Top Pitcher and Pro Prospect Awards. 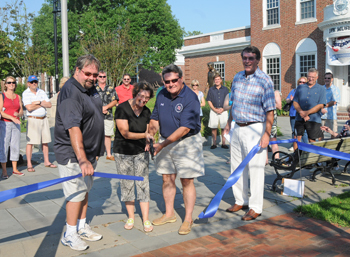 The Cape Cod Baseball League is very pleased to announced the official ribbon cutting of the new patio in front of the Hall of Fame and Museum on Main Street, Hyannis on Saturday, August 4 at 5pm.